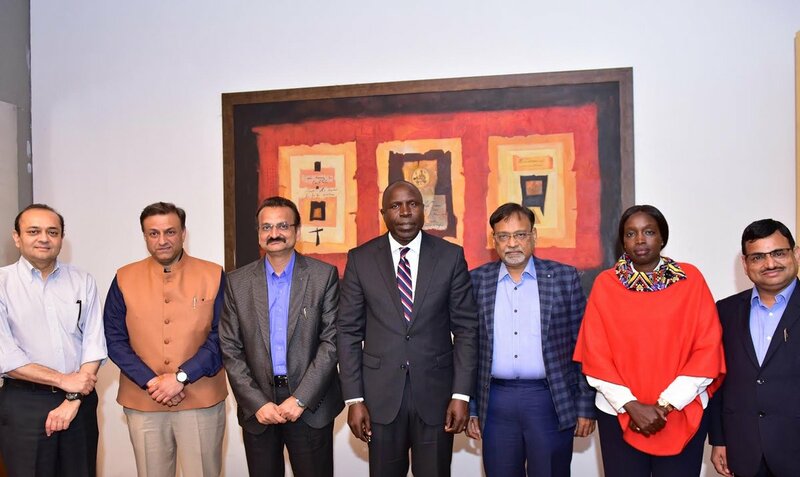 Ahmedabad: High Commissioner of Kenya to India Willy Bett today said that despite the fact that his countrymen like Indians more, the country has in last few years lost its number one position as investor and trade partner of his east African country to another Asian competitor China. Talking to newsmen here Bett said that for years India was number one investor and bi-lateral trading country in Kenya. But it lost this position to China in 2014 and has slid to number two rank in this regard. He said that China had less than $ one billion of trade and investment with Kenya till 2008 and India was way to high but China, mostly due to its aggressive move in various sectors mainly in construction and Infrastructure took the lead by 2014. Currently the figures for China is $3.9 billion while the same for India was around $2.4 b. ‘Still India has a large presence in almost all the sectors,’ he said stressing on the need to restructure the relation between the two countries. Bett said that there was still a vast scope of investment for India in Kenya in four sectors healthcare, manufacturing, affordable housing and agriculture. The locals like Indians in comparison to any other national. He said that China was also like any other business doing country and there should be no apprehension about its aggressive investment. India slid to number two rank not only because of China’s aggressive moves but also because the Indians backed out from the sector in which China made forward moves. The High Commissioner said that in Agriculture and many other fields India still has a monopoly of sorts and it could further improve its position. He said that there were around 80,000 to 120,000 Gujaratis in Kenya which forms the majority of the Indian population there. Bett said that everyone should accept the reality that in future the only region in the world with growth potential was Africa. Kenya could be the best foot-putting point for doing business across the continent as there were several protocols in place including preferential trade agreement which allow free trade with other countries. He also claimed that investors should not go to Kenya for quick deals but with long term ones as the real and bigger benefits from various trade agreements among African nations could be reaped in longer run. Meanwhile, a delegation from Ahmedabad Management Association is all set to visit Kenya and Tanzania from April 14 to 21 to explore business opportunities in these developing countries. Informing the details, Rajiv Mehta, President, AMA Said, “Kenya and Tanzania, two of the most developed countries in East and Central Africa are strategically placed to take big advantage of these coming changes. They are politically stable and have shown remarkable 6% GDP growth over the past decade. Their markets are act as hub for traders in the hinterland. Their ports at Mombasa and Dar-es-Salaam as well as new Lamu Port are the trade and logistics gateway to several land-locked countries such as Uganda and Zambia and their importance will increase further. A large number of infrastructural projects are taking place in these countries to enhance their expanded role in the fast-growing continent”. The delegation will be meeting the Indian High Commissioner in Tanzania, Tanzania Investment Centre and Businessmen and Members of Tanzania Private Sector Foundation.